What can a steam oven do for you? The combi steam oven is not your ordinary oven. Besides the obvious, cooking in steam or baking with dry heat, or even both, it can do much more. If you are on a tight schedule and preparing meals in advance, you will be delighted by the fact that reheating food using steam preserves and restores moisture, making it taste just like freshly prepared. 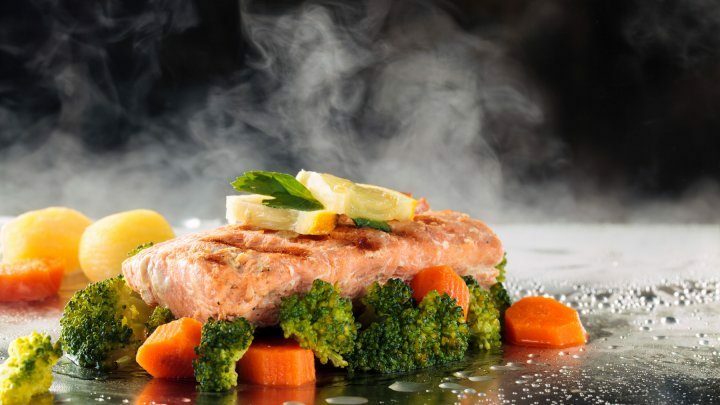 Steam gently rehydrates the food and brings it back to its delicious life. Defrosting in a combined steam oven is much quicker than defrosting at room temperature. Food will defrost gently and carefully without losing its taste or colour. Blanching vegetables or fruit until just crisp-tender takes 1–2 minutes of steaming. Then, immerse the vegetables or fruit in ice-cold water for a brief moment so that the cooking stops. You can then freeze the food or use it as you prefer. You can also use this oven for dough proofing. Required time is normally cut in half because of steam and even heat distribution. Combined steam oven allows you to disinfect baby bottles and jam jars safely and with ease, so no worries there if you are really into food preservation or just a fresh parent looking for a little simplification. So, next time you’re baking bread or defrosting a chicken or reheating your pizza or disinfecting the baby bottles in hot water, think of the one appliance that can do it all – the combi steam oven. Gorenje combi steam oven offers all in one: heat, steam and sous-vide. If you want your food to be super tasty, full of vitamins, minerals and nutrients, with a mighty fine texture on top, this is the oven for you.